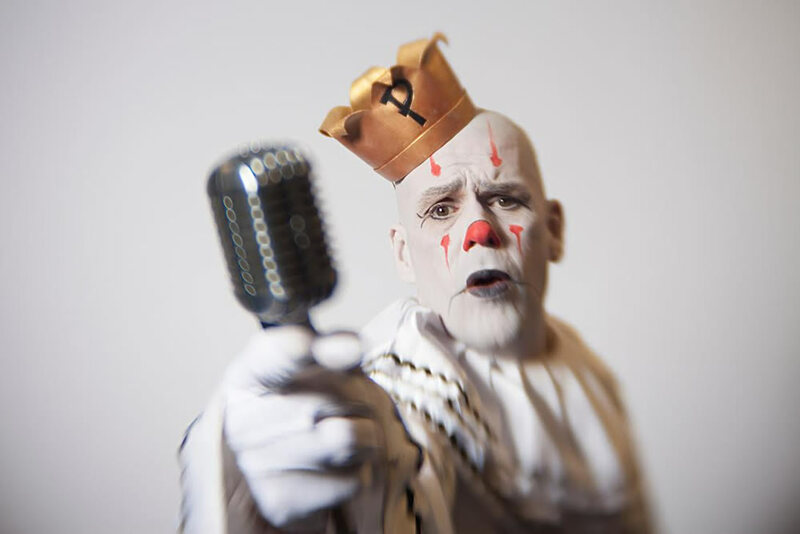 Puddles -- the "sad clown with the golden voice" -- is at The Egg for a concert this weekend. Guess what: We're two weeks away from Thanksgiving. So before the holiday crazy sets in, you may want to chill this weekend and do a few things you want to do. We've pulled together a list of things we thought you might like to try. Doing something you don't see on our list? Tell us about it in the comment section. Thursday-Sunday: Select restaurants around Saratoga County are offering $10 lunches and $20 and $30 dinners as part of Discover Saratoga Restaurant Week. Thursday-Saturday: The Comedy Works in Saratoga hosts Kevin Farley this weekend. Thursday-Saturday, various times and prices. The 2018 Screenprint Biennial is now on display at the Opalka Gallery on the Sage Albany campus. On display through December 14. The 2018 Artists of the Mohawk Hudson Region exhibit is on display at the University Art Museum on the uptown UAlbany campus. On display through December 8. The State Museum opens the new exhibit The Historic Woodstock Art Colony: The Arthur A. Anderson Collection on Saturday. "Long before the famous music festival in 1969, Woodstock, New York, was home to what is considered America's first intentionally created, year-round arts colony--founded in 1902 and still thriving over 100 years later. Collecting the remarkable range of work produced there has been Arthur A. Anderson's focus for three decades, resulting in the largest comprehensive assemblage of its type." It's on display through the end of 2019. The Albany Institute is currently exhibiting Thomas Cole's Paper Trail, Birds & Beasts: The Scary, Magical, and Adorable Animals of the Albany Institute, and A Menagerie of Whimsey: The Art of William B. Schade. The Art Omi Fields Sculpture Garden is a good place for a walk in autumn. It's free and open to the public. The USS Slater is still open for the season. Take a drive to check out one of the castles that are day trip from the Capital Region. + The Spa City Farmers' Market is at the Lincoln Baths. Sunday 10 am-2 pm. Puddles is at the Egg. (Caption under his photo says Troy Music Hall). Editors: That he is. Fixed. Thank you for flagging that. Co-hosted by Art+Design at the Sage College of Albany in the Armory on New Scotland Avenue. Generously sponsored by Mohawk Paper. Participants will ink and print oversized, hand-carved woodblocks under the drum of a 2-ton steamroller." ...because we all need more steamrollers in our weekends. Are we 100% sure that Puddles isn't John Malkovich?